Our range of products include portable sea water pumps. 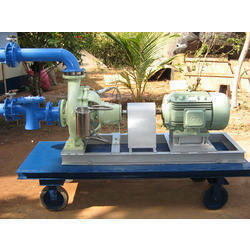 We are paramount in offering a wide array of Portable Sea Water Pumps. Our products are manufactured using the latest machines & equipment, owing to which these products are highly demanded among the customers. These products are fabricated with the use of superior quality raw material, which increases their effectiveness & demand among the vast client base spread across the world. Looking for Portable Sea Water Pumps ?